Are You Ready to Get Your Business on Track? Get Your FREE 2019 Business Plan Now! Do you have a plan for success in 2019? What if I told you that I have an EASY way to help you get your business on track for success not just next year, but every year after that…for FREE? 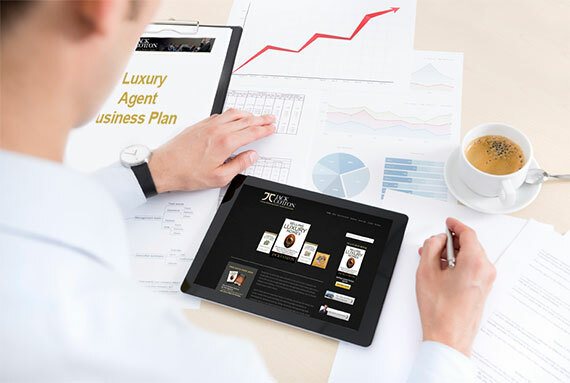 The Luxury Agent Business Plan is designed to help you analyze your prior year, track goals for listings and sales, automatically calculate key ratios and set your monthly prospecting targets for you. One of the secrets to my own success is utilizing this Plan in my business. I’m going to give it to you ABSOLUTELY FREE! PLUS, as a special bonus, you will also receive my 12 Deadly Business Planning Sins presentation. This video will take you step-by-step through the biggest mistakes Luxury Agents make when creating a business plan and how to avoid them so that you achieve your goals and get results! No strings attached, nothing to buy first, no requirements to qualify, nada!